The new “What’s My Name” Movement encourages all individuals using popular car pool services such as Uber and Lyft, to ask the driver “What’s my name?” and remember hers, Samantha Josephson. It could save your life. Your designated driver should always know your name. 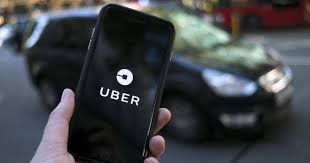 Samantha Josephson, a 24-year-old University of South Carolina student, called an Uber just past 2 a.m. after a night out at the bar. Surveillance video shows Samantha getting into the back seat of a dark grey car. The driver was supposed to take her back to campus, but Samantha never returned back to her dorm. About 12 hours later, her friends filed a missing person report in efforts to find Samantha’s whereabouts. Two hours after the report was filed, she was found brutally stabbed to death in a nearby field. Authorities later discovered that the man responsible for her murder was never her Uber driver; just a stranger. He allowed her to get into the back of his car, using the child safety lock to trap her in. At a vigil held at the University of South Carolina, Samantha’s father spoke of his daughter’s life. He discussed the importance of people traveling together, never alone. He vocalized that his daughter “never had a chance, but, if she was with someone, she would have had a chance.” It sparked a national movement for people to be extra cautious when it comes to putting themselves in the backseat of strangers’ cars. Olivia DiGirolamo, a young female resident of Philadelphia, says she takes an Uber close to weekly. “I make sure the car is what it says it will be and that the driver knows my name before I completely get in the car. Since the USC accident, I have made sure to check that the child lock isn’t on before I get into the car,” she stated. Olivia explained that she has never felt unsafe taking an Uber, but always tries to go with a buddy and check the ratings of each driver. Be sure to ask the driver your name, try to avoid traveling alone, and be aware at all times. Remember: it could save your life.